​Manchester City have ended their interest in Arsenal forward Alexis Sanchez, after Pep Guardiola and chairman Khaldoon Al Mubarak agreed the cost of the deal had become prohibitive. The news, as reported by ​the ​BBC and several others, had seemingly paved the way for City's rivals United to wrap up a deal for the 29-year-old Chilean. However, it now appears that reigning ​Premier League champions Chelsea may have also entered the race at the 11th hour. 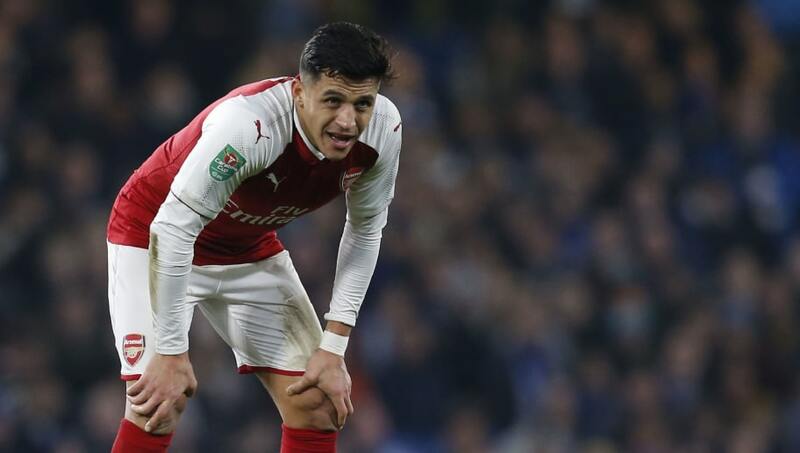 Speculation has been rife since the window re-opened and earlier on Monday French outlet ​Le10Sport reported an 'exclusive' that claimed ​Arsenal have accepted United's offer for Sanchez, with the deal set to be wrapped up quickly. On Sunday, ​Arsenal boss Arsene Wenger promised the saga would be brought to an end in 48 hours. However, regardless of how close United's deal actually is or the validity of ​Chelsea's interest, it is understood that City - who were apparently Sanchez's preferred destination - were unwilling to compete with the offers on the table from rival clubs and were not prepared to make the former ​Barcelona man, who played under Guardiola at Camp Nou, the highest paid player in their table topping squad. Guardiola and Al Mubarak as well as other key members of the club hierarchy, according to ​Sky, agreed that the combination of excessive wages and signing on fee did not represent value for money for player who would have been available on a free transfer in the summer. Man Utd by contrast are willing to hand Sanchez a contract of up to £400k-a-week including bonuses in order to secure the signing ahead of their rivals, while several reports suggest Henrikh Mkhitaryan - ​who was left out of the Red Devils' squad that took on Stoke on Monday night - will be used in a part exchange deal. Meanwhile​ the Times also claim that United are ready to hand Sanchez the club's iconic number seven shirt, previously worn by the likes of George Best and Cristiano Ronaldo. While Chelsea may now provide United stiff competition until the end, it seems City will not be persuaded back into the pursuit of one of the transfer window's most-coveted stars. However, in other timely news - which may have influenced City's decision to drop their interest - Gabriel Jesus is likely to be back playing ahead of schedule within a few weeks and will aid the club's attacking options ahead of the final push for the Premier League title.